When news broke on January 7 that seven people who visited Disneyland in mid-December had contracted measles, I checked my calendar and gave a sigh of relief. My own children were at the park a full week before the measles outbreak. Both of my children have received their MMR vaccinations, but there’s still a slim chance they could contract measles anyway. Being the worst case-scenario gal that I am, I feel better knowing they didn’t come into contact with a disease that killed more people in 2013 than the recent outbreak of Ebola. Last night, my Facebook newsfeed was filled with rants — and I was shocked by the number of people calling the parents who brought their babies to a crowded theme park “irresponsible.” With friends and family firmly in the anti-vax camp, I’m used to anti-vax and pro-vax arguments popping up in my newsfeed, but this was ridiculous. I heard the sound of screeching brakes in my head. We have apparently reached a point in the anti-vax argument where children who are too young to be vaccinated must be quarantined at home until they are fully vaccinated in order to protect them from diseases being transmitted by the children whose parents won’t vaccinate them — diseases that were nearly eradicated prior to the anti-vaccine movement. Children are not fully vaccinated against measles until they are older. They receive the first dose of the MMR vaccine between 12- and 18-months-old and the second between preschool and first grade. Are people really saying children should stay at home and away from potentially unvaccinated people until they start school? Never mind that our current maternity leave in the U.S. places most infants of working mothers in daycare at 6-weeks-old, are we really expected to put our children in a bubble or else be considered irresponsible because other parents don’t want to vaccinate their children? This kind of parent. 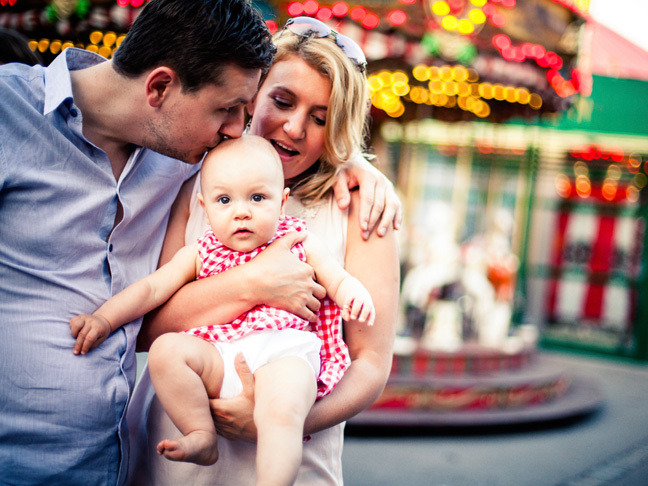 I took my daughter to the theme park when she was 5-months-old. I didn’t think twice about joining a family trip with her father, her brother, her cousins, her grandparents, her aunt, and her uncle. I simply packed a diaper bag, put her in a front carrier, and walked onto Pirates of the Caribbean. I took advantage of Mary Poppins Nursery to change her diaper, nursed her while watching a parade, and let her curious hands reach out to pat Mickey’s nose. Six months later she was diagnosed with whooping cough after being exposed to a friend’s son who had caught it. Both children were too young to have had the full series of immunizations and contracted it during California’s whooping cough outbreak back in 2010. She wasn’t at a theme park. She was in the woods, camping with friends who also vaccinate their children but live in a state where a growing number of people don’t. We shouldn’t have to turn into a society of agoraphobics to protect our children.